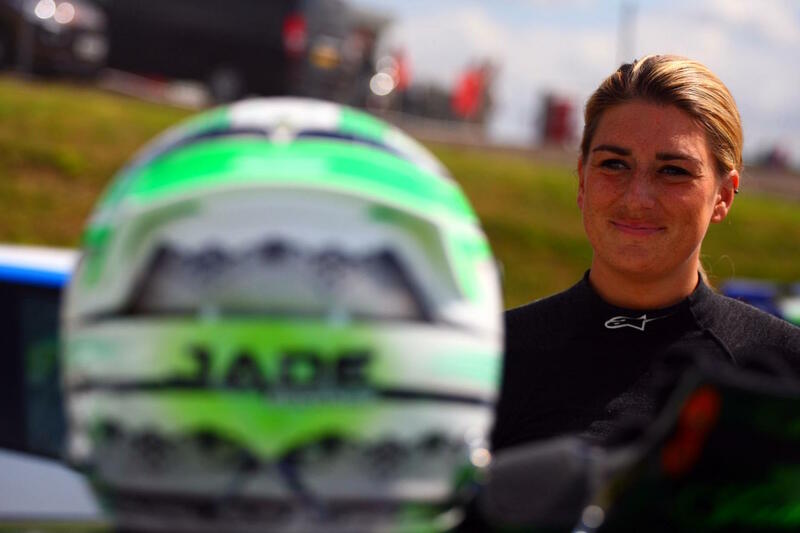 Less than a week ago it looked like the 2018 Renault UK Clio Cup season was all over for Jade Edwards. 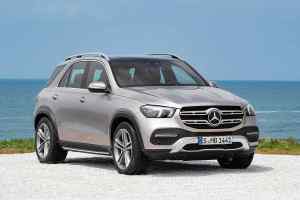 A sponsorship scam had left her with a €15,000 hole in her budget, after a proposed deal turned out to be fake. Now, with only days before the next rounds of the Clio Cup at Silverstone, Edwards has managed to secure a deal to compete this weekend. 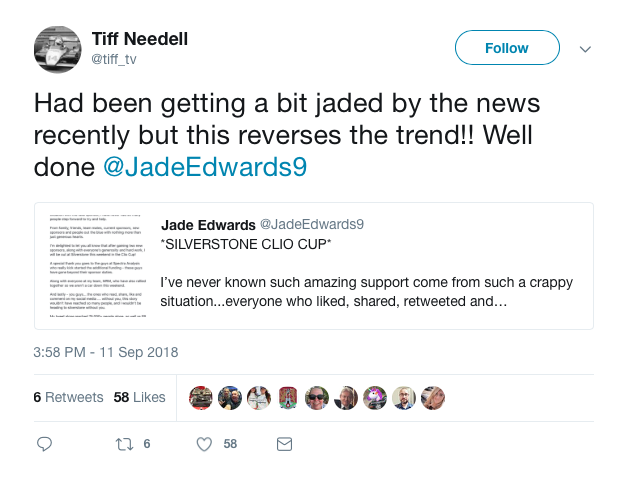 Clearly delighted with the eleventh hour reprieve for her season, Jade announced the good news on social media. I’ve never known such amazing support come from such a crappy situation…everyone who liked, shared, retweeted and commented- this was all YOU! New sponsors, along with amazing current ones, all helping to get me on track this weekend. The power of social media was clearly a factor in helping bring in the needed sponsorship money, with her original Twitter post being seen by over 75,000 people. New and existing sponsors have helped provide the budget, along with other individuals who were touched by Jade’s plight. Discovering that Edwards had found the funding to compete was greeted with delight by supporters across social media. Three-time Le Mans-winning Audi Sport engineer Leena Gade, and TV presenter and racer Tiff Needell, were just two of those celebrating. Whilst the budget may now be sorted for the two rounds of the Clio Cup this weekend, the Brands Hatch season finale is another matter. Edwards has just over a fortnight to secure the cash to compete on the 29th and 30th September. A good result this weekend would be the best possible advertisement for her abilities, and a reward for sponsors both new and old.